Has your membership run out? Email WestVillageParents1@gmail.com if you need help renewing. Summer brings lots of free outdoor concerts. Click the link below to find out about offerings in the West Village, East Village, and Flatiron areas. 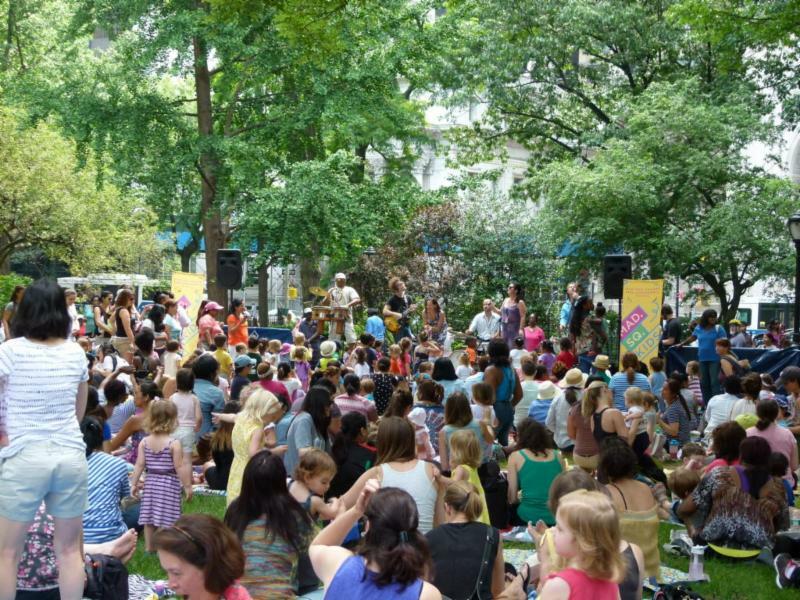 Celebrate the spirit of our community at the Rubin Museum’s annual Block Party. Join thousands of other New Yorkers at this outdoor event on Father’s Day, featuring art and activities for all ages inspired by the Rubin’s yearlong exploration of the future. Want to meet some moms and babies? Moms of babies born in 2017 meet in West Chelsea every Friday from 3:30-5:30. And there's wine. More info here. Anyone find a toddler Mary Jane shoe, white with blue flowers? Brendan is looking for haircutting recs for his 2 year-old daughter in Chelsea. Help him out! Parent-organized low-cost French class for 15-25 month old children is starting in Far West Village next Tuesday at 9:30am, continuing for 8 weeks after.